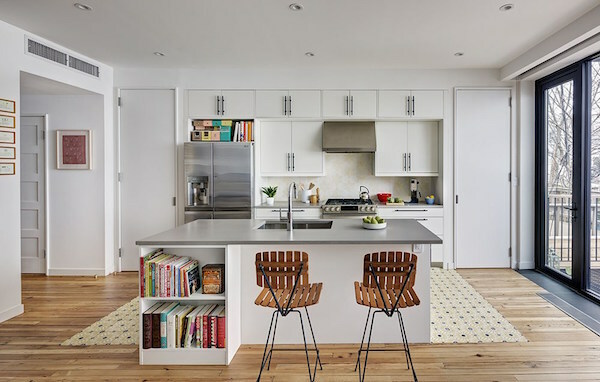 Located in Brooklyn, this beautiful row house—home to “an artist/poet/professor and a poetry & literature library administrator”—is airy and filled with natural light. 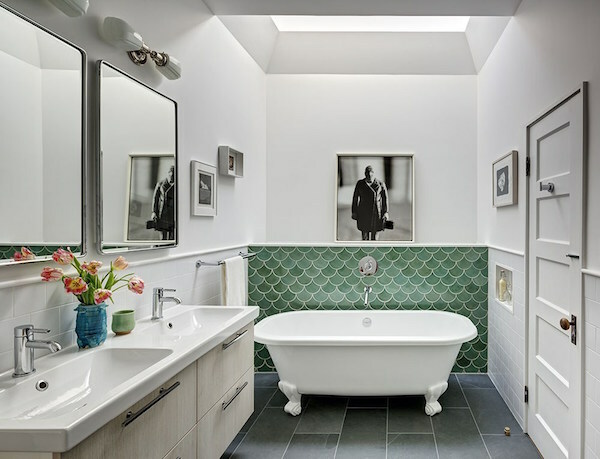 Despite its size, it exudes the charm and coziness of a much smaller residence. 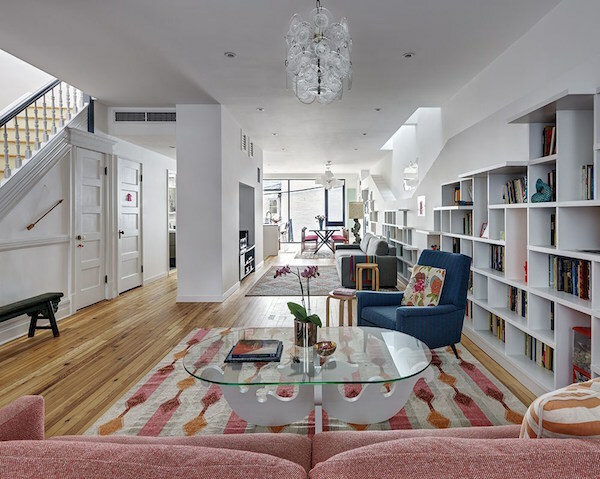 Designed by the Barker Freeman Design Office (BFDO), it reflects the personalities of its inhabitants, and it is easy to see that the people living in it are huge book lovers—there are shelves of books in almost every room, including the kitchen. The space has also been designed to accommodate the needs of its feline residents, two “shy but inquisitive cats.” The continuous ledge above the bookshelf in the living area is the perfect place from which they can people-watch, while specially created trapdoors allow them to move up to the second floor. 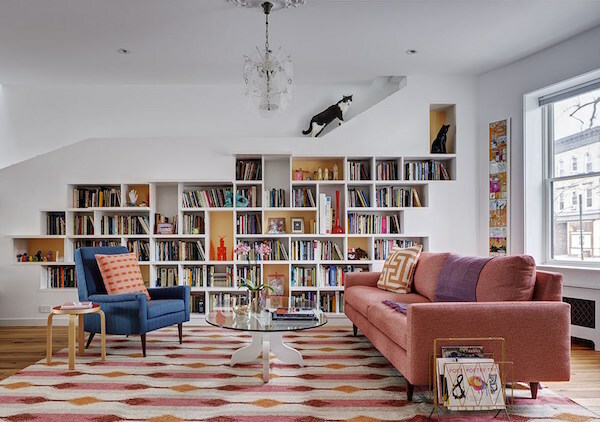 Head over to BFDO’s website for more images of this lovely home—would you build cat-friendly elements into your house?